The plugin allows you to synchronize the goods on the additional characteristic specified in the settings. All products with the same characteristics can be synchronized on the quantity and the price. The plug is suitable only for those who have the products have only one SKU. Reference should be defined as (default) "purchase option" and not as "Parameter selection". 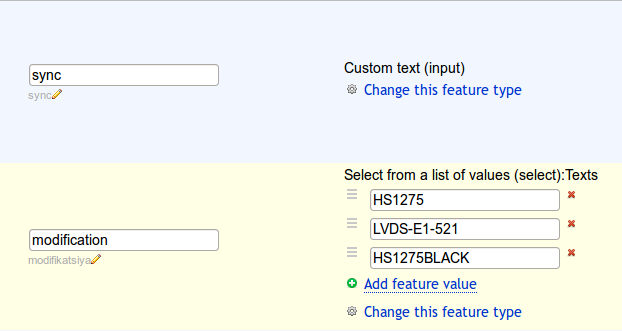 After creating the desired characteristics, you can select it in the plugin settings. Now, all products whose characteristics coincide modification will be synchronized with each other on price and quantity. When you select this feature in the product, no visual changes that characterize the synchronization of goods not happen, but now all the goods whose modification feature, will be synchronized with each other when they have to change the price or quantity. 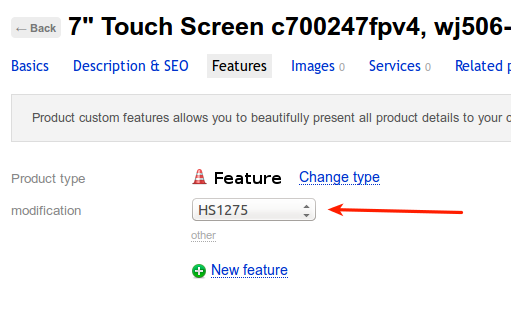 Synchronize only those options that are selected in the plugin settings. 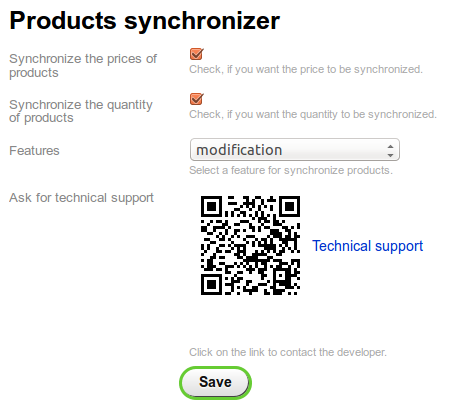 When buying this product, or if you manually change the number of the number of other products with the same characteristics will also change because in settings marked "Synchronize quantity". If one product several skus, synchronization occurs only for the main SKU.